Natural Cancer Treatment - Vitamin D Destroys Cancer Cells! 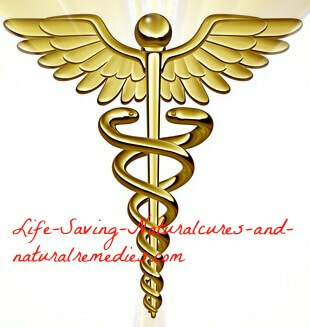 Natural Cancer Treatment... Get Plenty of Vitamin D! The Creighton University School of Medicine in Nebraska did a study involving 1,179 healthy women. The first group were given 1400 mg of calcium and 1100 IU's of Vitamin D daily for four years. The other group were given a placebo. The first group showed a 60% reduction in cancers compared to the second group (77% of this reduction actually occurred in the last 3 years of the study). And while you’re at it, you can also add prostate cancer to the list of cancers vitamin D can help treat and protect against! Findings from recent studies published in the British Journal of Cancer showed that the group of men with the most vitamin D in their bodies had a six fold less fatality rate from prostate cancer than the men with lower levels. So For This Cancer Treatment it's Easy... Just Get Out in The Sun! Stop believing all the negative reports about how the sun is bad for you and gives you skin cancer. It’s not bad for you at all! Just don’t go overboard with sun exposure (30-40 minutes a day on the face and hands is enough). You definitely don’t want to burn yourself. Oh, and don’t use any sunscreens or sun glasses either while you're out there. These terrible inventions actually do you more harm than good. They do do a great job of ruining your eyes and burning the chemicals from the sunblock deep into your skin though! Even with regular sunshine, you're still going to need to supplement with extra vitamin D3. 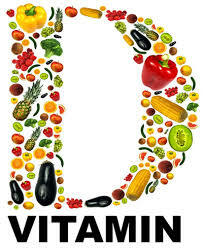 If you live in a cold climate then you're most definitely going to need a vitamin D supplement. Acclaimed cancer expert, and one of the worlds leading authorities on vitamin D, Dr Cedric Garland, recommends at least 10,000 IU's of vitamin D be taken by cancer sufferers every day (and contrary to what you may have read, this is a safe dosage). By the way, this is the same guy who came out and said after extensive studies that cancer could be "virtually eradicated" if people raised the amount of vitamin D in their bodies to more normal levels. He's considered "the guru" when it comes to vitamin D and cancer... so he's worth listening to! Here's the full details of Dr Garlands study on vitamin D for cancer prevention and treatment if you're interested... Groundbreaking New Research on Vitamin D for Cancer. Final Note: We also strongly recommend that you take a high potency resveratrol supplement with your vitamin D. Resveratrol enhances the effects and benefits of vitamin D by a huge amount. I's also a good idea to find yourself a good quality natural vitamin D cream and rub it on the tumor twice daily for extra benefit.